The scope a mark is given in a lawsuit is based on its distinctiveness. The more distinctive a mark, the easier it is to keep similar marks from being used and the easier it is to get a registration for the mark with the US Trademark office. The court in Big O Tire Dealers, Inc. v. The Goodyear Tire & Rubber Company, 408 F. Supp. 1219 9D. Col. 1976) aff’d, 561 F.2d 1365 (10th cir. 1977) suggested the following categories of distinctiveness. The most distinctive type of mark is a “coined” word such as EXXON. EXXON has no meaning in any language. The next most distinctive type of mark is a “fanciful” word such as FAB. A fanciful word is invented for the sole purpose of functioning as a trademark. However the word may bear a relationship to another word or may be an obsolete word. FAB is a shortened version of fabulous. The next category is “arbitrary”. An example of an arbitrary mark is APPLE for computers. The word has no relationship to the product or service with which it is used. The next category is “suggestive”, which suggests what the product is without actually being descriptive. An example is STRONGHOLD for threaded nails. The next category is “descriptive”, that draw attention to the ingredients, quality of nature of the product. An example is TENDER VITTLES for cat food. The final category is “generic”, which would be the common language name for the item. For instance BUTTER for butter. You cannot obtain a trademark for generic words used for the generic purpose. When selecting a trademark, the more distinctive it is, the easier it is to obtain a registration. Commonly there is a fight between the long-term value of the trademark and the marketing need to have a name that tells the world what the product is. There are some special categories of trademarks. Geographic names are generally not considered distinctive. For instance, FRENCH wines would generally be considered descriptive and not be allowed registration 15 USC § 1502(e). Surnames may be used as trademarks 15 USC § 1502(e). However, you do not have a right to use your surname with any given product or service. For instance, if your name was “Hines” you would have no right to use you name on a brand of pickles. Your surname “Hines” would conflict with the mark HEINZ ® for pickles. Stylized trademarks are words that are printed in a stylized manner. For instance, the cursive manner in which the mark COCA COLA ® is written. A LOGO can function as a trademark. An example is the apple with a bite out of it used by the Apple computer company. A powerful combination when selecting a mark, is to use a logo with stylized words. For instance, the stylized word PEPSI with the red, white and blue circle. By selecting a logo with stylized words, the trademark examining attorney will examine both the words by themselves and the logo or stylization. If the examiner rejects the words by themselves, you can often still get the logo or stylized version of the mark. It is possible to get a mark that has specific colors. However, it is generally broader or more distinctive to obtain the mark without the limitation of a specific color. Then the mark will cover any color. It is important to use a mark properly in order to not lose rights in the mark. A mark should function as an adjective to the generic noun for the item, for example APPLE ® computers. If a mark becomes the common or generic word for an item, the law will no longer recognize the word as a mark. Two classic examples where this happened are KLEENEX and ASPIRIN. Both words became the common words for tissues and a type of pain reliever respectively. Once you have selected a mark it is important to perform at least a basic search to determine if the mark is available. One way to perform a basic search is to use the United States Patent and Trademark Office’s web site www.uspto.gov. This web site allows you to search existing federal trademarks and federal trademark applications. Enter the home page and select “go to trademarks”. This page gives you the option of selecting “search” or “TESS”. By entering the proposed mark, you can perform a search for marks and applications. If you do not limit your search to a particular group of goods, you may obtain a number of irrelevant marks that use the same word. A mark only covers a group of related products or services. Thus, it is possible to use APPLE for computers and APPLE for music stores without the trademarks conflicting. One way to limit the search to similar goods or services is to limit the search to a particular international class of goods. The international classification of goods puts all goods and services into 45 different classes. A more thorough search will include searches for words that are phonetic equivalents of the word, for instance kleen and clean or right and rite and write. If the search of the United States Patent and Trademark Office’s web site does not show a conflicting mark, it may be wise to perform a common law search of trademarks. A common law trademark search determines if there are any conflicting marks that are not registered but have rights under common law. A general web search is good place to start for a common law search. In addition, a search of yellow pages and state corporate names are good sources of potentially conflicting marks. It is important to note that having a corporate name does not give you any trademark rights in that name. Assuming the search does not show any conflicting marks, the next step is to file the trademark application. The Trademark Office is trying to encourage us to file our trademark applications electronically. This may be done by going to the United States Patent and Trademark Office’s web site, www.uspto.gov. At the home page select “trademarks”. The next page should give you a choice for electronic filing or TEAS. The TEAS page will give you a number of choices. You want to select trademark application – principal register. The other main choice is supplemental register. The supplemental register is for marks that the trademark office does not recognize as being inherently distinctive enough to obtain immediate registration on the principal register. As an aside, I think of the supplemental register as a consolation prize when you cannot convince the examiner that your mark should obtain a registration. The first question is whether the applicant is filing an “intent to use” application under 15 USC § 1051 ¶1(b). This is often abbreviated as a section 1(b) filing. This means that the applicant has not used the mark, but has an intent to use the mark in the near future. The intent to use provision is a nod to the practical realities of the business world. Technically, the federal government is recognizing your rights in the mark not granting you rights in the mark. As a result, originally you had to prove that you had used the mark in interstate commerce. However, if you are going to spend millions of dollars on advertising a new detergent, you want to be fairly confident that you have trademark rights in the name. By filing an intent to use mark and obtaining allowance before rolling out the advertising program, the owner can be fairly confident that they will have rights in the mark. Next we need to determine whether the applicant’s trademark filing is based on use of the mark in commerce. This is often referred to a section 1(a) filing, 15 USC § 1051 ¶1(a). This means that the applicant has already used the mark in interstate commerce. The next question is whether the trademark application has a right of priority based on a foreign application (Section 44(d)). 15 USC § 1126 (d). The “section 44” is the section of the original Lanham Act. Most published statutes provide the Lanham Act sections under the USC section listing. The United States has a treaty with a number of countries that allows foreigners to file their trademark application in the US and receive a priority date based on their filing in their country. In order for an applicant to take advantage of this provision, the application in the US must be within six months of the foreign trademark application. The priority date is the filing date in the foreign country and means that the application will be treated as if it were filed on the same date as it was filed in the foreign country. Note that this a reciprocal arrangement that US applicants can take advantage of in foreign countries. The next question is whether the trademark application is based on a foreign registration (Section 44 (e)). 15 USC § 1126 (e). This provision allows the applicant to file an intent to use type of application based on the foreign registration. This ends the filing basis issues. Next you need to know if the applicant wants to file in multiple classes. The trademark office divides the world of goods and services into 45 separate groups. If the applicant wants the mark to be recognized by the trademark office for more than one class, then they would answer yes and put in the number of classes. The class of the mark is important in a procedure called an opposition. An opposition is a contest between two or more applicants as to the ownership of a mark. However, the international class is not used by a court to determine the group of goods or services that a mark covers. We will walk through an example trademark application. The first set of questions, on the form deal, with the applicant’s entity type. For instance, is the applicant an individual, corporation, partnership or other. The next set of questions deals with the applicant’s address and phone numbers. Next the form asks for information related to the mark. Is the mark just a typed word. For instance, assume we are applying for the mark ORANGE for computers. If we want the mark to cover any manner in whichORANGEis written and do not want to cover a particular stylized format, we would select “typed format”. Then, in the box provided, we would type “ORANGE” in all capital letters. If we want a stylized format ofORANGEor have a design with the word (or just a design) we would select “stylized” or “design” format. Next, you follow the directions to have your GIF or JPG image attached to the application. Note: if your design contains words, the words should be entered in the next box. As I stated earlier, I always suggest a client select a stylized version of the trademark. The next section of the trademark application is entitled “additional statement”. The first additional statement has to do with disclaimers. This may arise when the applicant has no right to exclude others from some or all the words used in the mark. For instance, assume we had a stylized version of ORANGE that had the words “orange computers”. We would have to disclaim the word computers, since we would have no right to exclude others from using this word alone. My suggestion is to not disclaim any words unless the trademark examiner forces you to do so in an office action. The next set of questions deal with “stippling” and are self-explanatory. The next question asks if there is any related prior US registrations. For instance, we may have a trademark for “ORANGE CRUSH” computer services. This related trademark registration may help in proving the mark is distinctive or make clear to the examiner that it does not conflict with the present mark. The next question asks for a description of the mark. Our answer might be “the mark consists of the word ORANGE in a stylized font.” When the mark contains a foreign word, you are asked to provide a translation in the next box of the form. When there are non-Latin characters in the mark, you are asked to transliterate them into Latin characters and provide a translation into English. The next set of additional statements relates to 15 USC § 1052 (f) or section 2(f) of the Lanham Act. This section states that a mark that has become distinctive and is entitled to registration on the principal register. The applicant may claim that the mark has become distinctive based on prior registration, based on use or a combination of both. The next additional statement asks for permission of any person’s portrait, name or signature that is part of the trademark. Another additional statement asks if the mark was first used in a different form. For instance, we may have first used the mark ORANGE inside the design of an orange but we are now applying for just a stylized version of the word orange. When the mark was used in a different form you are asked to provide the date of first use in commerce and the date of first used in interstate commerce. Another additional statement is entitled concurrent use. This statement asks us to specify the goods and the geographic region for which registration is sought. Unless we are otherwise limited, we want the registration to cover the complete United States. The goods in our ORANGE mark example would be computers or computers and computer peripherals. The next set of questions asks whether the application is based on “use” or “intent to use”. If your application is based on use of the mark, select section 1(a) (15 USC § 1051(a). The first question under the use section asks for a description of the specimen. The specimen is an example of the mark in actual use. For instance, our ORANGE computer mark on a computer. Since it would be too expensive to provide the trademark office with a computer as a specimen, we may send a photograph of the mark on a computer. The description would then be a photograph of the mark used on a computer. The next question is in which international class(es) we want the mark to registered. Unless the applicant has a strong feeling about this issue, I suggest that you let the trademark examiner select the international class. The next box asks for the listing of goods and services. In our hypothetical case it would be “computers” or “computers and peripherals”. The next box asks for the first use of the mark anywhere and the following box asks for the first use of the mark in (interstate) commerce. Remember this question is necessary because Congress only has the right to regulate interstate commerce not intrastate commerce. If the applicant has not used the mark, then you select section 1(b) or the intent to use section (15 USC § 1051(b). Again the form asks for the international class(es) in which the applicant wants the mark to be registered. The next box asks for the listing of goods and services. In our hypothetical case it would be “computers” or “computers and peripherals”. The next group of questions relate to foreign priority based on a foreign trademark filing, Section 44 (d), 15 USC § 1126 (d). Note that in order to claim priority based on a foreign trademark application, the US application has to be filed within six months of the foreign filing. Again the form asks for the international class(es) in which the applicant wants the mark to be registered. The next box asks for the listing of goods and services. In our hypothetical case it would be “computers” or “computers and peripherals”. The next question is the name of the foreign country from which priority is based. The applicant is asked to supply the foreign application number and the date of foreign filing. The next group of questions relate to foreign priority based on a foreign trademark registration, Section 44 (e), 15 USC § 1126 (e ). Again the form asks for the international class(es) in which the applicant wants the mark to be registered. The next box asks for the listing of goods and services. In our hypothetical case it would be “computers” or “computers and peripherals”. The next question is the name of the foreign country from which priority is based. The next questions are the foreign registration number, registration date, renewal date and expiration date. A trademark registration has to be renewed periodically or it expires. In the United States a mark must be renewed every ten years or it expires. The next group of questions asks for a variety of attorney information, for example; the attorney’s name, docket number and attorney contact information. When the applicant is not a US entity, the applicant is asked to provide a domestic representative to receive service of process for any lawsuits. The form then asks for fee information. The registration fee is based on the number of international classes in which the applicant desires the mark to be registered. The final section of the form requires an officer of the corporation or entity to declare that the information in the application is true. For more information on trademarks see McCarthy on Trademarks and Unfair Competition or the Trademark Manual of Examination Procedure TMEP. 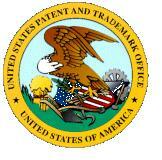 The TMEP is the USPTO (Patent and Trademark Offices) internal examination manual and can be found at www.uspto.gov. McCarthy is the best known horn book on trademarks.